We don’t get to show too many Majorettes on the Lamley Blog, but not because we don’t like them. Majorettes are a nice compliment to those that collect Hot Wheels and Matchbox. Same scale, many similar choices, nice realism, but with more of an emphasis on European cars. Between the Mattel brands, Majorette, and Tomica, a nice international collection can develop. The problem is Majorette’s are pretty hard to acquire for anyone outside of Europe. For that matter, I have heard they can be difficult for many within Europe to find as well. Majorette had some serious factory difficulties that were only recently resolved, and new models have finally started to surface. But the only way for a US-based collector to get them is to either have a good trading partner in Europe, or to go to ebay. And either way is worth it. These are nice models. We recently acquired four fairly new Majorette models, and the Porsche 911 Carrera is the first of those we will feature. You can see that Majorette goes for a stock look, and it works quite well. 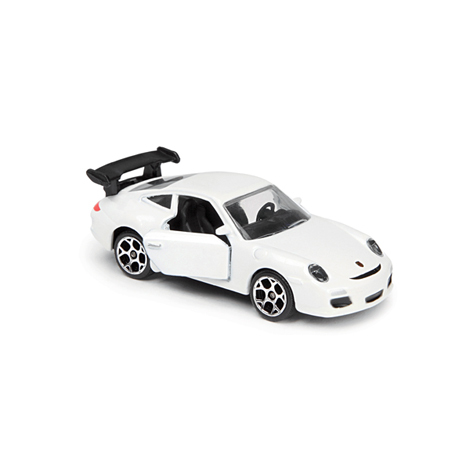 Especially with Matchbox and Hot Wheels doing the GT3, and Tomica Limited Vintage going with a classic 911 and 912, this stock Carrera is nice to sit in the middle. If the one showed here is decent (it's a casting done for Dickie Toys before Dickie Simba Smoby purchased Majorette), the new castings for Majorette are really superb. Can you put a a picture of Panamera (Majorette)? It´s awesome. Now you know what it is like trying to get Matchbox in Europe…..
seller from Greece. It was a Racing Collection SUBARU IMPREZA STi WRC and you can still get this particular model as well as some other unique and rare diecast models. They're great to work with and you might find something interesting. Boy, i'd love to work in tandem with someone overseas looking for MBX in exchange for Majorette. I loved Majorette as a kid. You couldn't destroy them. Great quality and some really interesting castings. I wish they still sold them here. I had a few. They where easy to find about 25-28 years ago when I lived in Puerto Rico . They had the sets at neighborhood pharmacies. I loved a Mazda rx-7 that I had.